Students for a Democratic Society at the University of Minnesota (UMN SDS) stand in solidarity with the hunger strikers in Raleigh, NC. In protest for a better future, these courageous women are demanding Senator, Kay Hagan, to support the DREAM Act, a bill that would allow undocumented peoples access to higher education. UMN SDS sees the DREAM Act as an important step on the long road toward the liberation of undocumented workers within the United States. Education is intrinsically a right that all people should have no matter differences in class, race, gender, sexuality, or legal status within imagined borders. We unite and stand with the demand of the Immigrant Rights Movement that education is a right! We are in solidarity with the three Raleigh hunger strikers and any person willing to resist, fight, and struggle! All Out for MN Nurses on Strike! 6/6 – All Out for the Minnesota Nurses’ Strike! 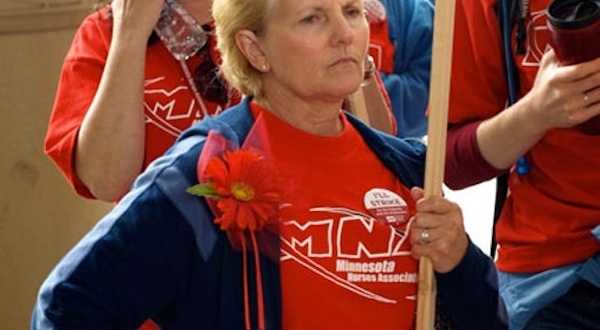 The Minnesota Nurses Association, one of the largest bargaining collective of nurses in the country, are gearing up for an open-ended strike July 6th. This strike will be the largest nurses strike in US history and SDS as a part of the MN People’s Bailout Coalition are going to be there in solidarity, JOIN US! Hospitals work because nurses do. Better working environment for nurses and their patience! To find out about the strike read Fight Back! See you at the Picket Line! Email umnsds@gmail.com to find out how you can plug in! 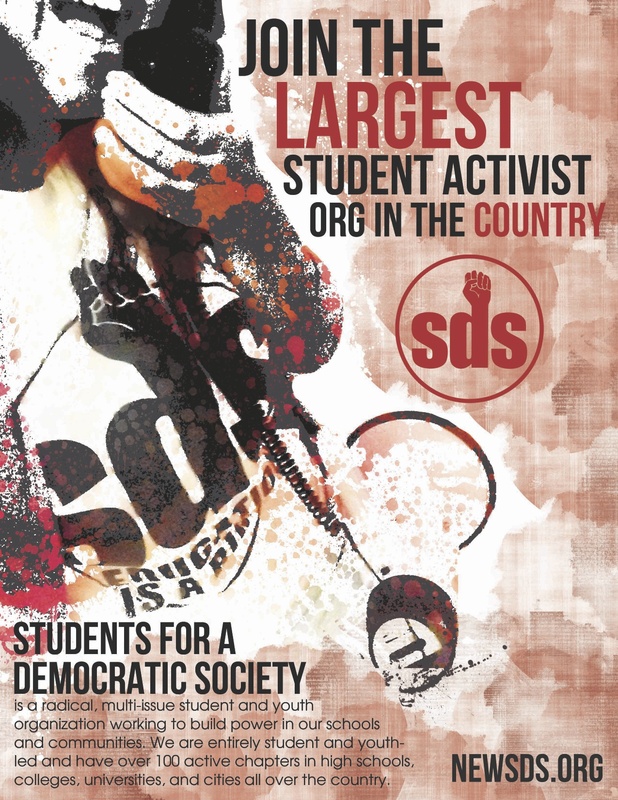 The 2010 national convention for Students for a Democratic Society (SDS) will be taking place in Milwaukee, Wisconsin on October 22-24. Through workshops and plenaries, SDS chapters will share their many rich experiences, including helping lead the national struggle for education rights, organizing protests against the wars in Iraq and Afghanistan, coordinating mass action against Arizona’s SB1070, and boycotting Israel. 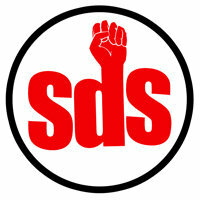 SDS is a radical, multi-issue organization grounded in the principles of participatory democracy. With dozens of chapters nation-wide, we encourage newcomers to also attend. Housing: We will provide free housing. Food: We are preparing to provide free meals (vegan friendly). Cost: We have a limited amount of money available for reimbursements for low-income youth. If you need other accommodations, please contact us. Oct.7, 2010 – ALL OUT TO DEFEND EDUCATION! Students for a Democratic Society has been fighting back against cuts to education for years, leading struggles on campuses across the country. We believe education is a right, not a privilege. We believe that students should not have to suffer fee and tuition hikes so that top administrators can maintain their six-figure salaries. We believe faculty and campus workers should not be subject to mandatory furloughs to maintain wasteful and unbalanced budgets. We believe that ethnic, womens and LGBTQ programs are NOT expendable. We say, “chop from the top!”, that cuts should be made to top administrators with bloated salaries. We want student, worker, and faculty control over the university; the Board of Regents should not be in control of our futures and lives. We will not stand by and do nothing while the quality of and access to education is diminished, while our schools are privatized, and while K-12 public schools face similar attacks. SDS at the U.S. Social Forum! On June 22-26, in Detroit, MI, SDS will join thousands of organizers and activists at the U.S. Social Forum to share our perspectives and strategies for social and economic justice. Members of SDS are traveling from across the country to discuss our experiences in building the student movement over the last four years. SDS has been involved in many important battles since the 2007 USSF in Atlanta – from fighting to defend education as a right, to leading tens of thousands of students and youth in protesting against the wars in Iraq and Afghanistan. SDS has also been active in the struggle for immigrants rights, labor solidarity, support for the Palestinian liberation movement, and many other key issues that we have faced over the last few years. So come hang out with SDS! We will sum up our experience in how to organize on our campuses and communities against U.S. empire abroad and repression and cutbacks here at home. SDS workshop addressing the need to continue building a student anti-war movement on campus in the post-Bush era. Thursday, Jun 24 2010 – 1:00pm. TWW: Fourier. Students and Youth discuss March 4th action for education rights and next steps. Jun 25 2010 – 1:00pm. Cobo Hall: D3-18. At the SDS Table at 6pm on Friday, we’ll likely be in the main hall. Send us an e-mail to let us know you’re coming, or give a call if you want to meet up in Detroit! For more information on SDS, check out http://www.studentsforademocraticsociety.org/. We are here today to protest the outrageous acts of the Israeli military on Monday, May 31st to the Freedom Floatilla which was trying to bring humanitarian aid to Gaza. Israeli commandos boarded the ships in international water and killed at least 10 people for the “crime” of trying to bring humanitarian aid to Palestinians. The Freedom Flotilla was a convoy of six ships carrying 700 activists, political leaders and journalists from over twenty countries. They were taking around 10,000 tons of basic aid including food, educational supplies, medicines, and construction material to break the brutal and illegal Israeli blockade on Gaza. * They used concussion grenades, sound bombs and pellets against the ships. People were attacked by the Israeli navy by plastic bullets, electric shocks, and physical attacks. * Members of the media were even attacked and had their camera equipment purposely destroyed. We are not alone in our anger. Protests have already happened around the globe including in Indonesia, Turkey, Malaysia, Australia, India, Canada, Greece, Egypt, France, Italy, Sweden, and Iraq. And more protests are happening today. We need to use these murders to highlight the issue these activists gave their very lives for – the need for Israel to stop the siege of Gaza. Israel’s blockade is an example of the horrendous collective punishment it uses against the Palestinian people and specifically against the 1.5 million people living in Gaza. Gaza is one of the poorest places in the world and to deny Palestinians access to the basic supplies its people need to survive – including food and medical supplies is downright criminal! The blockade has also prevented Gaza from rebuilding after the devastating Israeli military offensive early last year. I had the privilege of visiting Gaza on a human rights delegation in 2001. I saw the remnants of apartment buildings Israel had bombed with military aid the US gave them where children under the age of 5 were killed in large numbers in the attempt to kill one suspected militant. I saw refugee housing that had been used for over 50 years despite it’s inability to truly house any one. I saw a population malnourished and starving for freedom. Repeatedly Palestinians asked me to work here to change our government’s policy of unconditional support for Israel, and if we want peace and justice for Palestinians, an end to aid to Israel is essential! We must use this bloody massacre as an opportunity to challenge the US unconditional support for Israel. Israel has the ability to hold such a brutal occupation of Palestine because of the support of our country. The US gives Israel more military aid than any other country in the world and US politicians compete over who can be its best friend. The US repeatedly provides the diplomatic cover for Israel after it’s war crimes against Palestinians like the war on Gaza last year and after the war with Lebanon. We need to demand that the US not use it’s power to block the anger the international community can and should be targeting towards the Israeli government. The White House has reacted cautiously since the bloody massacre and has only called for disclosure of all the facts. This is not enough. Obama should be outraged at this unprovoked attack in international waters of a humanitarian aid mission. We need to demand that the US cut ties with Israel – including an end to aid! We need to demand the US stop sending 3 billion dollars in military aid to Israel each year. We cannot stand by as our tax dollars are used to cause this oppression and violence. 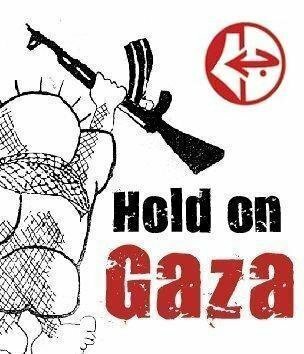 The people of Gaza are under attack what do we do, stand up fight back! The people of conscience are under attack what do we do, stand up fight back!